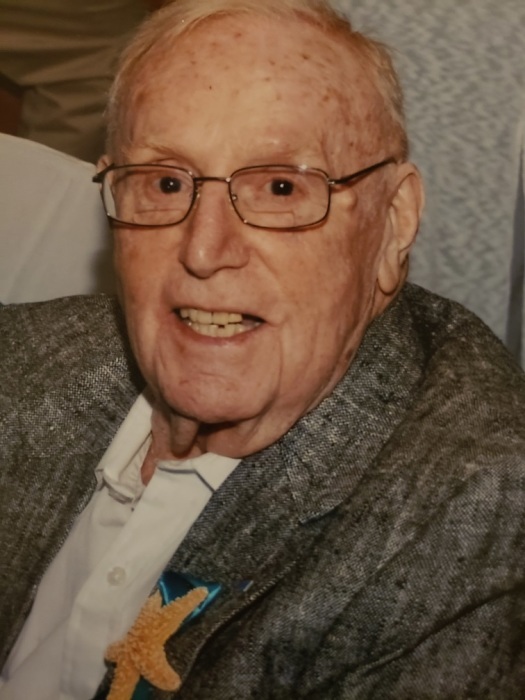 Donald D. Norris of Jefferson Hills, Pennsylvania passed away peacefully in Florida with his loving family by his side on Friday, January 25, 2019 following some recent health challenges. He was 90 years old. Donald was born in McKeesport, Pennsylvania on May 24, 1928, the proud son of Hildur Constance (Johnson) and Walter James Norris. He was the loving husband to Norma Norris who sadly predeceased him in 2012. He leaves to cherish his loving memory his children Donald D. Norris II and Jeffrey K. Norris (Debbie); grandchildren Jennifer Sondermeyer (Kyle), Derek Norris (Allison) and Ryan Norris and great grandchildren Jaime Norris, Makenzie Sondermeyer, Reid Sondermeyer and Wyatt Norris. Donald also leaves behind a great many extended family members and countless others he knew along life’s journey and were proud to call him a friend. He will be greatly missed by all who knew and loved him. A Funeral Service for Donald will be Celebrated at 6:00 PM on Wednesday, January 30, 2019 inside the Chapel at Fort Myers Memorial Gardens Funeral Home, 1589 Colonial Boulevard, Fort Myers, Florida 33907, (239) 936-0555. Friends will be received for Visitation for two hours preceding this service beginning at 4:00 PM also inside the funeral home chapel. Additional visitation will be held at Stephen D. Slater Funeral Home, 1701 State Route 51, Jefferson Hills, PA 15025, (412) 384-0350, on Sunday, February 3, 2019 from 12 - 3 & 5 - 7 PM and on Monday, February 4, 2019 from 2 - 4 & 6 - 8 PM. His funeral service will be on Tuesday, February 5, 2019 at 11 AM at Stephen Slater Funeral Home with burial to follow. At the conclusion of these ceremonies, Donald will be laid to rest alongside his dearly departed wife Norma at the Lebanon Presbyterian Church Cemetery in West Mifflin, PA.